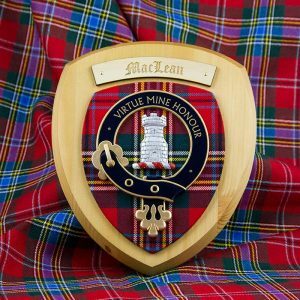 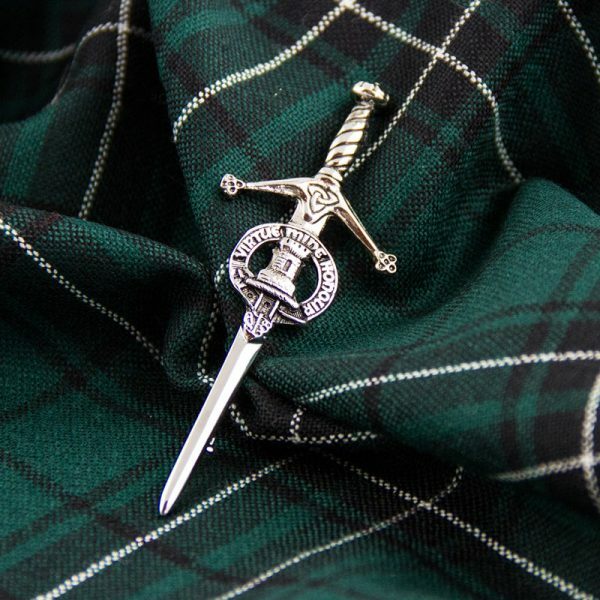 A Kilt Pin in the form of a sword, with a 20mm Clan Badge at its centre. It is 94mm long, and 35mm across, and the securing brooch pin has a safety lock. 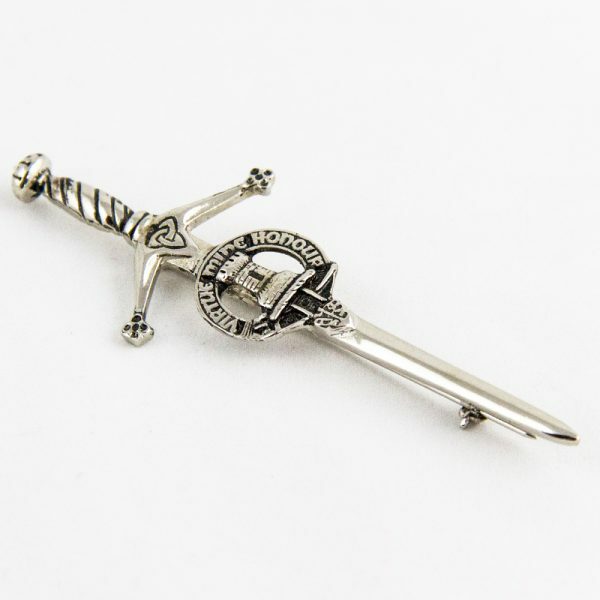 Also works well as a ladies brooch.